Company car drivers are being urged to increase the frequency of tyre checks to prevent potentially dangerous tyre failures after TyreSafe members reported a rise in pothole-related damage. The organisation's tyre retail members said that there has been a significant increase in the number of customers who believe that one of their tyres has a slow puncture. 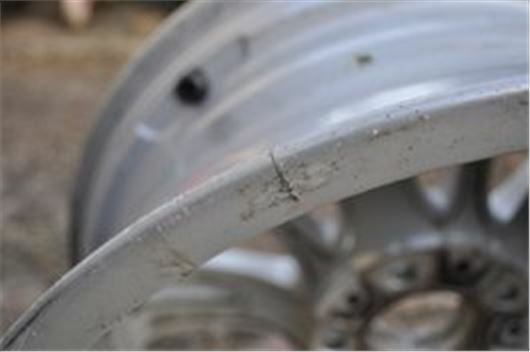 However, after investigation, many instances of pressure loss are found to be as a result of air escaping from cracked wheel rims that have been damaged by driving over potholes. By checking tyre pressures at least once a week, drivers will be much more likely to spot any gradual loss of pressure and have this investigated by a qualified tyre professional. When tyres are run below their recommended pressures, they can overheat which can eventually lead to a rapid deflation, endangering the safety of the driver, their passengers and other road users. Driving on under-inflated tyres also leads to increased tyre wear and higher fuel bills adding unnecessary expense to fleets. Jackson added: “If you do have the misfortune of hitting a pothole or notice that your tyres are showing signs of pressure loss, you should visit your local tyre fitting centre at the earliest opportunity so they can check that both your tyres and wheel rims are in a safe and serviceable condition."